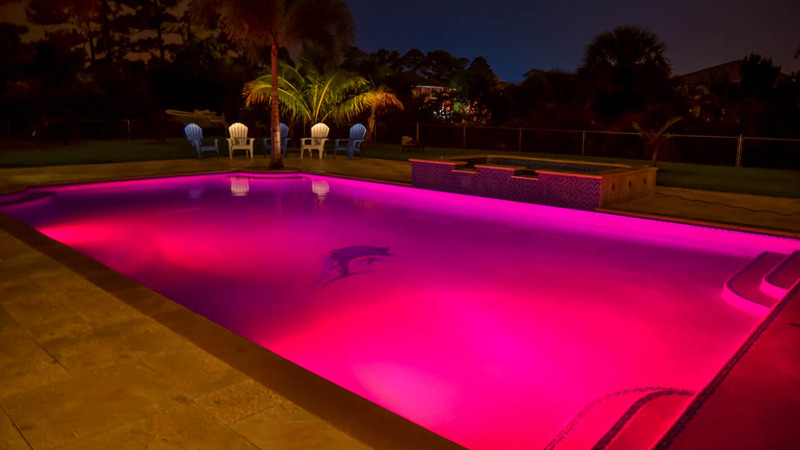 As you might suppose from our company name, Poolside Designs, our core business is designing and installing high quality swimming pools of elegance and functionality for clients in Duval, Nassau, St. Johns, and Clay counties. 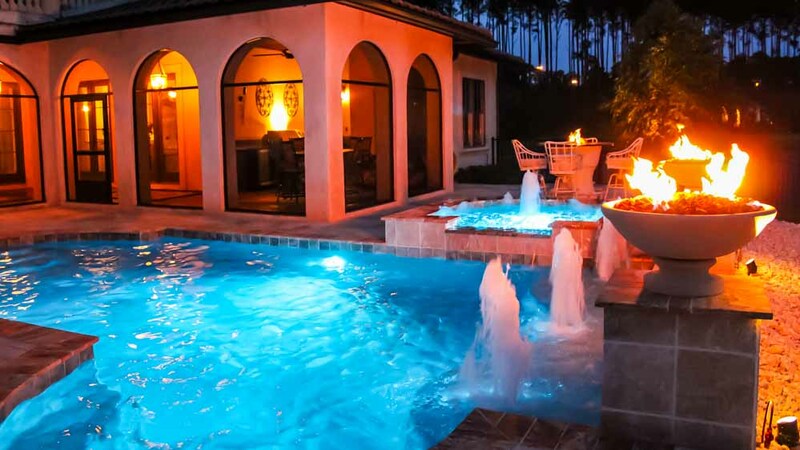 In our years of business, we have acquired a reputation as one of the premier design and installation companies for swimming pools of distinction in the entire state of Florida, and especially in our service area. 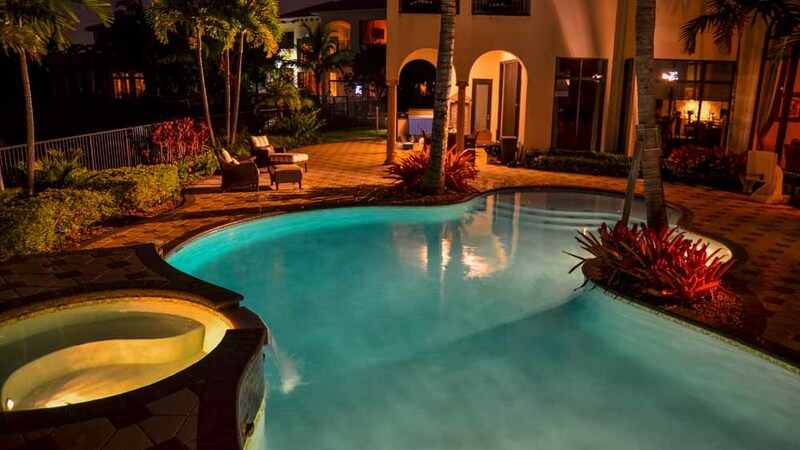 We don’t just design a great swimming pool for you though – we take into account the entire living space, the room you have available in your backyard, so everything works well together, including relaxation areas, outdoor cooking, entertaining, and even the potential placement of furniture. 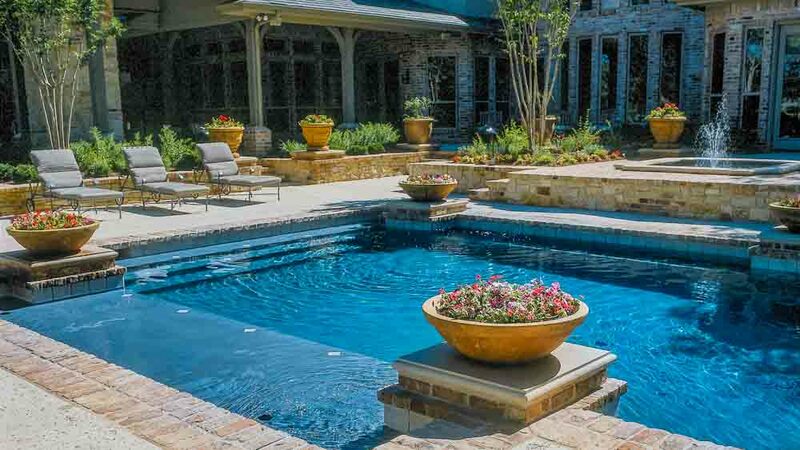 This kind of approach guarantees that your new swimming pool isn’t just forced into the yard, but becomes one organic component of the entire living area. Every feature and all usable space in your backyard is accounted for and incorporated into the overall design, so that you have an outdoor living area that you will be happy with for years. 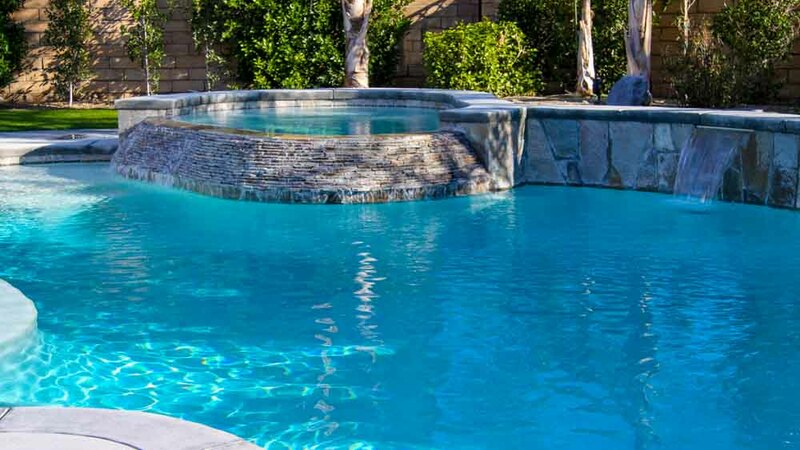 If you have an existing swimming pool area in your backyard that you feel needs some life injected into it, we offer a remodeling service that can add a whole new appeal to your poolside area. You may already have some great ideas about how to liven up the design, and if you don’t, our design specialists will have tons of suggestions that might appeal to you. Something as simple as new tile all around might revitalize the area, or brand new LED color lighting. A pebble interior finish might add style and visual appeal poolside, and an entirely new water feature like a spa, could make your living space much more exciting and functional. 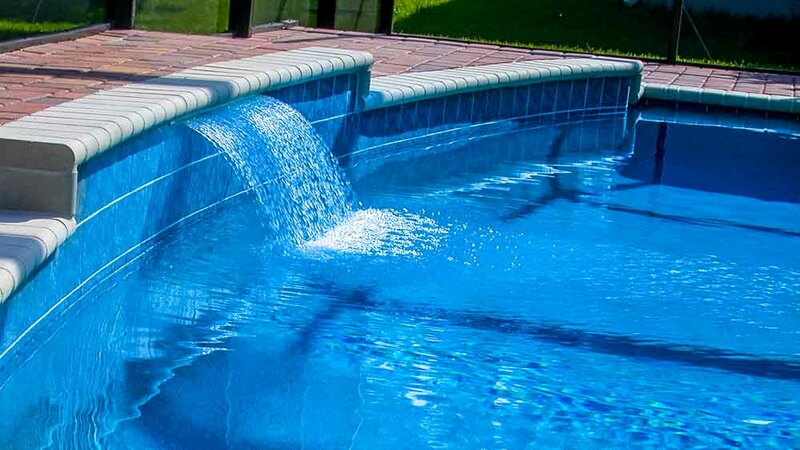 In addition to providing design and implementation service for custom concrete swimming pools and spas, Poolside Designs provides several other services to residents of our service area. We can create enclosures for your swimming pool, which lend privacy to the whole poolside area, and might make you more comfortable for those sun-worshipping days in the lawn chair. Paver decks are another of our specialties, and we offer many options for installing these in the pool area, or anywhere around the backyard, to give a look of permanence and provide a solid deck surface for outdoor furniture. 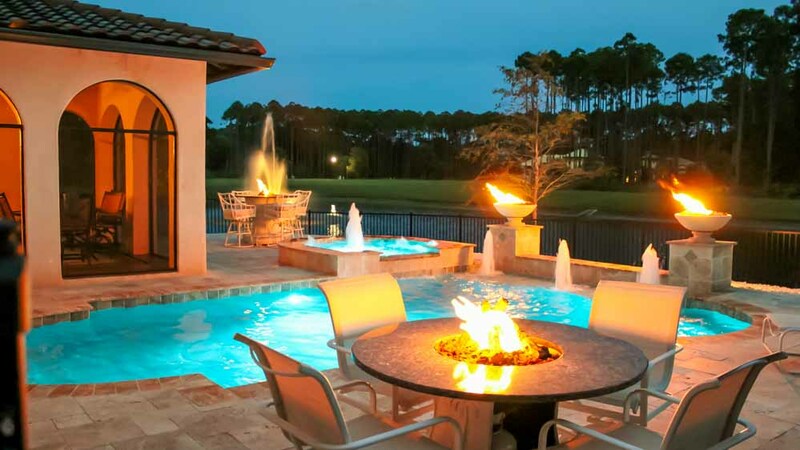 What better way to spend an evening poolside, than to sit around a firepit with friends, sipping a cocktail and socializing in a carefree setting? 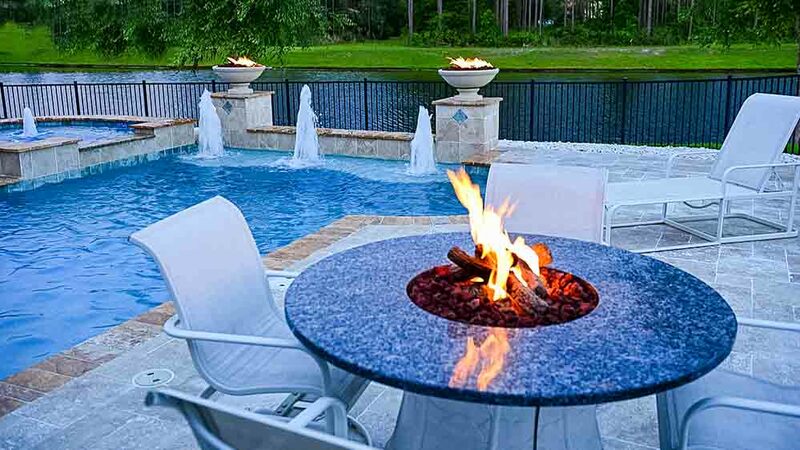 Poolside Designs can install an alluring firepit that will cause friends to gravitate to your home, to enjoy its mesmerizing appeal in a charming setting, with good company. If you’d really like to take advantage of outdoor living during the benign weather months, a summer kitchen can be the ultimate addition for you. Cooking and serving meals in the great outdoors can be a wonderful way to maximize use of good weather and your backyard living space, especially when entertaining guests. Poolside Designs can work with you to create the perfect summer kitchen for your home, so that you have some wonderfully enjoyable options for meal preparation and food service.